When boredom strikes, this is what a Filipina does, lol. 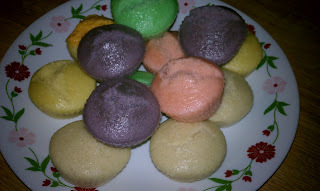 Steamed rice cake or what is commonly known as puto in the Philippines. It is easy to make and if one is resourceful enough, there are a lot of recipes of them online. you should try it, you might like it. So yum!